I have found two online investment advisor firms, Index Fund Advisors (IFA) and FutureAdvisor, that offer risk-assessed, customized Diversified Portfolios to their clients. IFA, by the way, has developed the best informational website I have ever seen. I have learned a lot from their website. You should visit it. 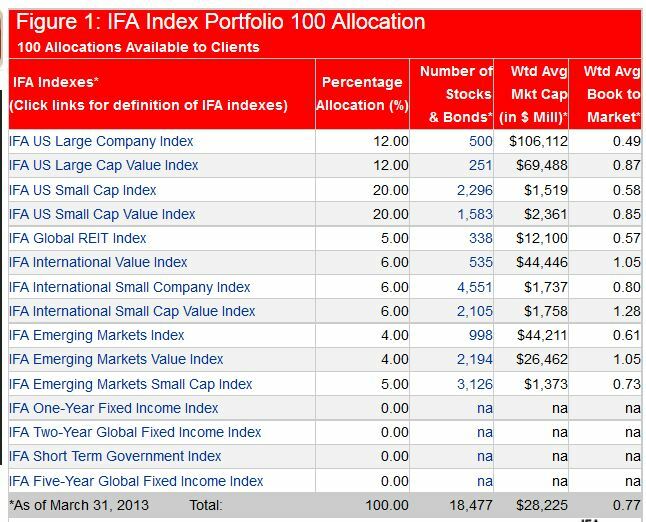 IFA offers Diversified Portfolios ranging from 100% Equity (with 11 different securities – see below) to 20% equity depending on the client’s propensity to assume risk, i.e. ability to endure the higher variation associated with 100% equity portfolios. All portfolios have the same securities, only the weightings change. But when the portfolio is reduced to 20% equity, the expected return falls to 6.55% as shown in the chart below. The point is conclusively proved that as you add bonds to your portfolio, you are reducing the expected return from the portfolio. Only a portfolio that has 100% equity will give you the best chance to have the most money when you retire. Of course 100% equity increases risk, but Risk is covered elsewhere. 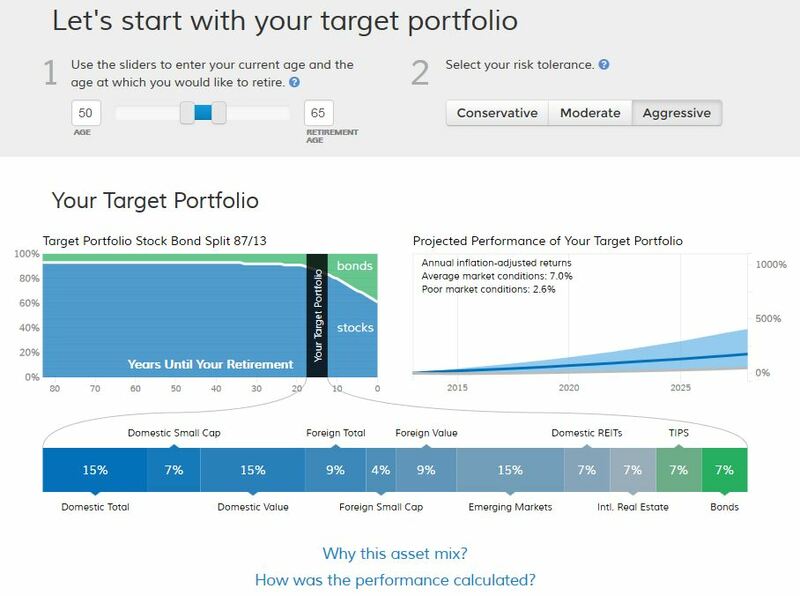 FutureAdvisor also assigns portfolios according to risk. They show two portfolios on their website. The first is for a 34 year old who presumably has enough time to absorb the variation associated with a high equity/bond ratio. Here is a portfolio for the 34 year old. The Stock/Bond split is 92/8. Note the projected performance for this 92/8 portfolio in “average market conditions” is 7.9%. 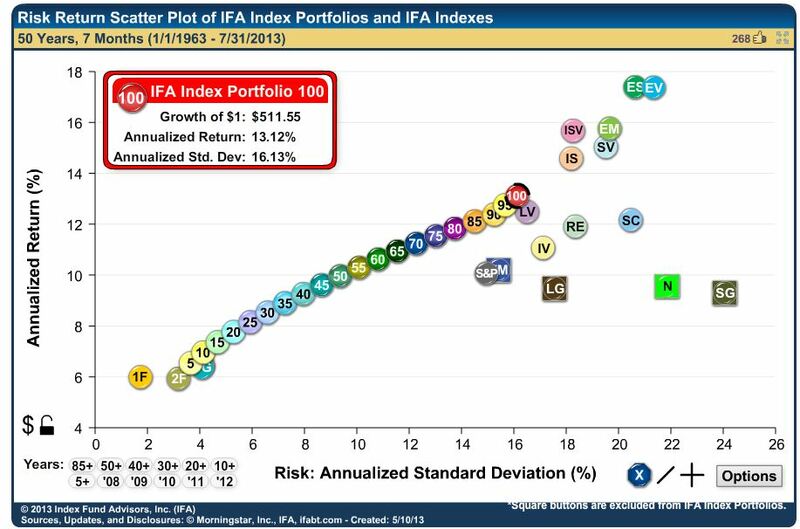 Now the portfolio for the 50 year old, presumably less willing to assume the risk of volatile markets. His portfolio equity/bond ratio is 87/13. Now look what happened to the performance in “average market conditions”for the 50 year old. The stock/bond ratio changes by only 5%, going from 92/8 to 87/13 but the average market condition performance goes from 7.9 to 7.0, down by 12%. Worse, the highest performance is reduced to 50% of the 34 year old’s portfolio. 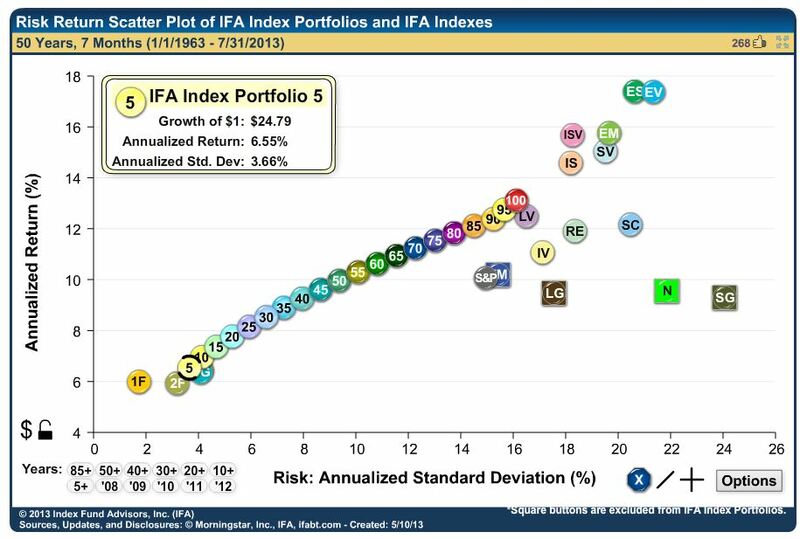 Index Fund Advisors and FutureAdvisors make my point for me. 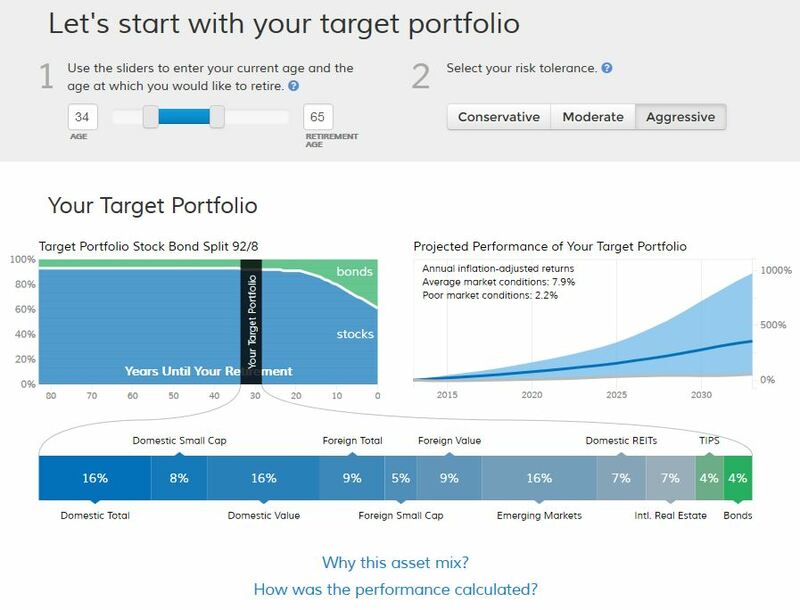 Adding Bonds to the portfolio reduces the performance potential. Since our objective is to get the most money we can by the time we retire, we do not want to include Bonds in our asset mix. Overall, looking at good periods and bad, stocks have delivered stronger returns by far than bonds or cash. According to figures from Ibbotson, the geometric average of returns from stocks has come in at 9.3% over the past 85 years, versus just 5.1% for bonds and 3.6% for cash. If the objective is to have as much money as possible during your retirement years, why would you want to hobble the engine that produces money?